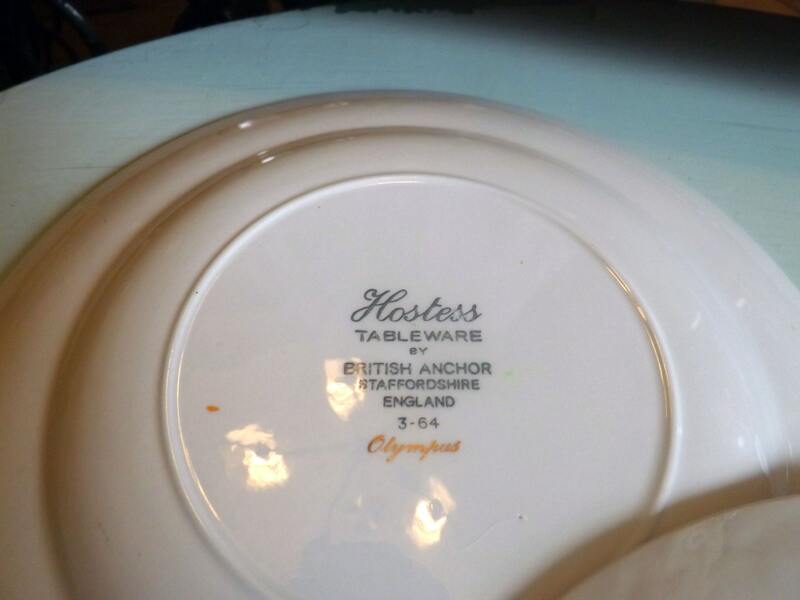 Vintage (1960s) British Anchor | Hostess Tableware Olympus luncheon | breakfast plate. 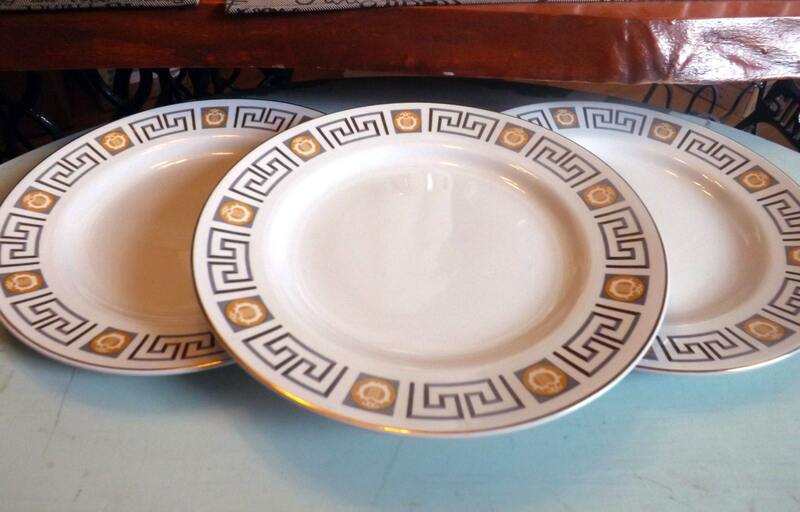 Greek key, harp design, gold edge. 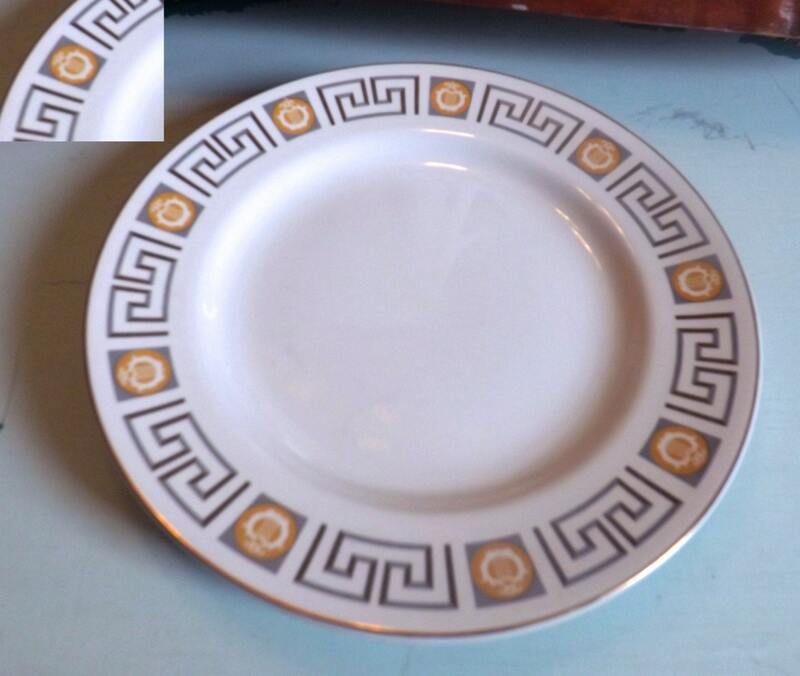 Vintage (1960s) and hard to find Hostess luncheon or breakfast plate in the Olympus pattern made in England by British Anchor Pottery | Hostess Tableware. 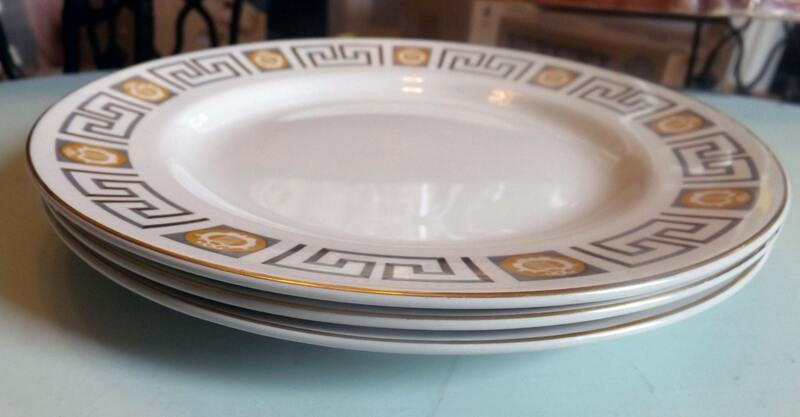 Impossibly hard to find, Olympus features a Greek key and harp border design in grey and gold with a gold edge. 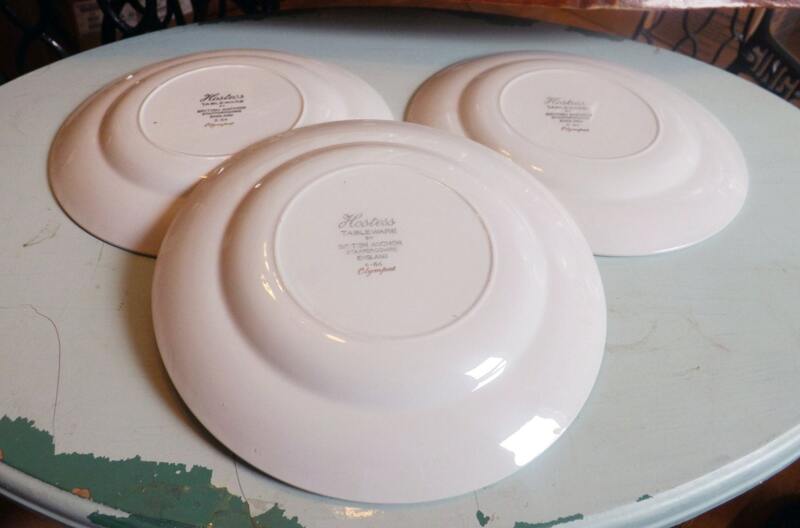 This pattern is almost impossible to find so if you need extra plates for your service - here you go! In EXCELLENT! condition with NO! chips, nicks, cracks or fleabites, LITTLE TO NO! crazing, LITTLE TO NO! loss to the gold edge and NO! marks, stains, scratches or other signs of use or wear.